Durham Farms, a new community in Hendersonville, offers residents the best of small-town Tennessee living. Residents here can enjoy front porches, quiet tree-lined streets and amenities designed to bring neighbors together. With more than 1,000 homes planned on 472 acres, the community is ideal for step-up families looking for a larger home in a community with lots of amenities for adults and kids. Durham Farms is also a good choice for move-down empty nesters, a place where they will have free time to relax, exercise and pursue their passions. Durham Farms is a neighborhood where the amenities and homes reflect an approach called “Vital Communities,” a concept that emphasizes healthy living, engagement, connectivity, stewardship and strong design. Nothing captures the essence of Durham Farms better than the front porch. A symbol of the small-town life many of us yearn for, it’s a place from which neighbors can share a friendly wave, sit for a cup of coffee or enjoy some pleasant conversation. 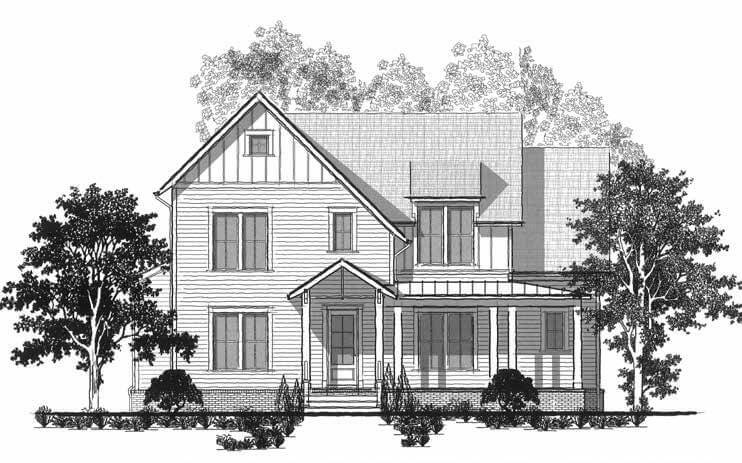 Because the front porch helps to connect people and build friendships, it is a distinctive feature of the homes at Durham Farms. 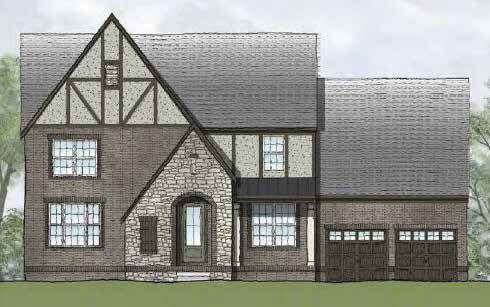 Designs by David Weekley Homes will feature three to five bedrooms, 2.5 to four bathrooms, and a choice of first- or second-floor owner’s retreat. Lennar Homes offers an array of interior and exterior designer upgrades, including granite countertops, crown molding, professionally designed kitchens and more. The long list of amenities at Durham Farms extends the concept of home beyond the front porch and the back door. The expansive clubhouse — dubbed The Farmhouse — includes The Hub (a Wi-Fi café), a fitness room and an outdoor courtyard. Personal training and organized fitness classes are offered, and there’s also a playground and resort-style pool (with a splash pad for kids). The community has plenty of outdoor space to enjoy, including nearly 3 miles of paved trails. There’s a Village Green, plus intimate neighborhood parks throughout the community with relaxing bench swings. Some of the top builders in America — Celebration Homes, David Weekley Homes, Drees Homes and Lennar — were selected to create Phase 1 of Durham Farms. With an emphasis on authenticity, individuality and lasting character, these builders offer a range of designs that reflect simple elegance and timeless style. You’ll find everything from classic cottages to estate homes, built with materials, details and colors that provide a sense of place and integrate the homes with the surrounding neighborhood. Building practices in the community adhere to green principles, both during construction and in the completed buildings and landscape. Located on Drakes Creek Road between Vietnam Veterans Boulevard and Long Hollow Pike in Hendersonville, Durham Farms is ideally situated for home buyers. Hendersonville has been acclaimed for its top schools, parks, shopping and scenic beauty. With 26 miles of shoreline on Old Hickory Lake, the area is a haven for boating, fishing and other recreational activities. Additionally, Durham Farms is just 18 miles from downtown Nashville, so it’s close to work and the unique blend of cultural and entertainment attractions that Music City has to offer. Builders are pre-selling homes at Durham Farms. Learn more at DurhamFarmsLiving.com. Join the community’s Founder’s Club and receive updates on the community and exclusive event invitations. Drees Homes offers home designs ranging from 2,000 to 3,500 square feet with three to four bedrooms and three to four baths. The Saundersville Plan by Celebration Homes. Drees Homes offers two distinct collections with a wide range of floor plans. Designs by Celebration Homes will feature three to five bedrooms and a focus on flexible main-floor living.